Purpose: To analyse the performance of the industrial sector in Sudan and assess the enablers and inhibitors to its full contribution to the Sudanese economy. Design/methodology/approach: review and analyse bench-marking industrial policies around the globe with the objective of extracting the main lessons to be learnt for the case of Sudan, and assess enablers and inhibitors; review and analyse the contribution of the industrial sector to the Sudanese economy, applying lessons learnt from above; and assess the performance of the industrial sector in Sudan, examine enablers and inhibitors to the industrialization process, and make appropriate recommendations to improve it. Findings: The contribution of the industrial sector to the Sudanese economy is small. A significant injection of industrialization is required. However, the lack of effective industrial strategy and policy is very clear and reflected in a general weakness of the Sudanese economy. An analysis of enablers and inhibitors to the industrial sector led to the identification and categorization of the main ones. It is recommended that each of these categories needs to be tackled in order to improve the contribution of the industrial sector to achieving sustainable development goals and improving the Sudanese economy. Originality/value: Industrial strategy and related policies in Sudan have not been reviewed recently. This paper reviews the impact of this on the industrial sector and its contribution to the Sudanese economy. The paper also provides a critical analysis of enablers and inhibitors to an effective industrialization process, categorizes them and recommends special attention be paid to these categories. Reference to this paper should be made as follows: Dafa’Alla, A. A., Hussein, E. S. and Adam, M. A. A. (2017) ‘Towards an Effective Industrialisation Process in the Sudan’, Int. 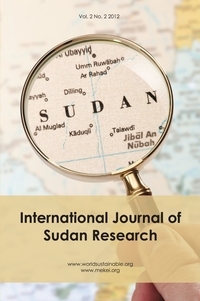 J. of Sudan Research, Vol.7, No.2, pp. 85–102.